Congratulations to our team of superstars for winning the Rotary Club of Howden Annual AM-AM last Friday. Due to Ian Hodges being unavailable at the last minute, he drafted in Chris McFadden of Chris McFadden Travel to join James Richmond of The Harris Partnership, James Gray of Handelsbanken and Simon Stanley of BWB Consulting and they won the event with 85 points. Congratulations also to Simon, who was Nearest the Pin. The event, in its 31st year, is a key event in the Rotary Club’s calendar and raises money for a number of charities in the area. 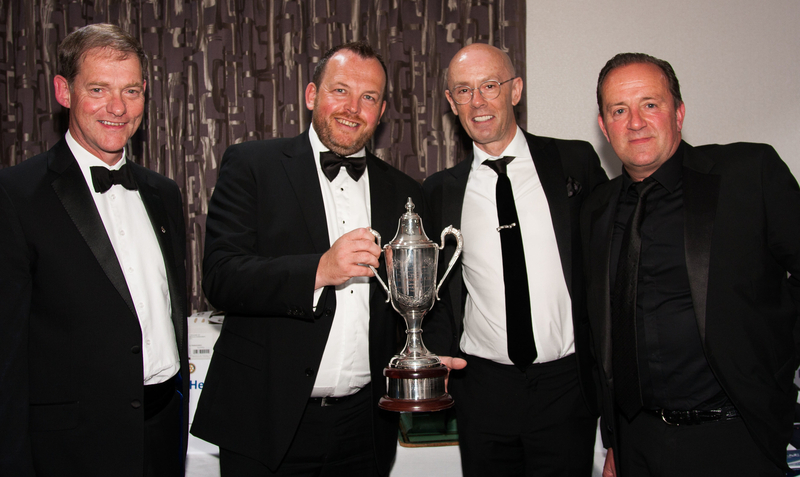 The Golf Day was followed by a Dinner at Willerby Manor Hotel where the results were announced. Horncastle are proud to continue their support of the event and are even more delighted to finally win the trophy! Maybe we need to substitute Ian again next year?